Goofy Goober - That One Spongebob Movie. wow, what a dream i was living in ! ty to you all, i can now jump off that bridge while doing the most giant bomb ever made from a very high place ! all that without regrets ! how the hell did I miss that? how much wood can a woodchuck chuck buck..fifty? 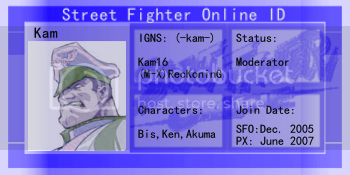 Quote[/b] (KingofStreetfighter101 @ Mar. 22 2008,19:31)]You're retarded. Quote[/b] (KingofStreetfighter101 @ Mar. 22 2008,19:31)]Your retarded. yeah.... what was this topic about again? eww i though this topic was differnt mabey telling ppl what they cant do on last post wins. hmm i guess i win agin o_OAN SUMONE DELETE THIS POST FOR ME SORRY. THE FACT THERE ISA FAQ FOR THE R.I. SECTION ANNOUNCES A RED ALARM. And it's that un-randomness that makes it random. Till SSJKarma or other Staff member decided to open it.